This practice runs weight management courses and smoking cessation referrals that can help you live a healthy lifestyle. Speak to the practice team for more information. If you are not sure what changes you can make to help improve your health, NHS Choices offers a LifeCheck. Just answer a few simple questions and LifeCheck can give you advice on what changes may help you. 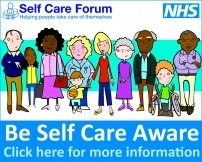 NHS Choices provides lots of useful information on how you can improve your health and wellbeing. These courses usually run over several sessions and will provide advice and tools to put you in control of your condition. Ask your GP or the receptionist for details of courses in this area or visit NHS UK Click here for more information.